Hey, Will. I was born in Canada but now live in Australia. In between I’ve lived all over the place, including Japan, Korea, the Philippines etc. And, sure, I think my life experience has shaped me as an author. Most of my books are set all over the world: Japan, France, Africa, and so forth. I like different places, exotic places. Also, the characters are often from all over, whether they are Japanese, German, British, Australian, French. Part of this is because of where the stories are seat, but I also like using international characters because a lot of people I’ve met, a lot of friends, are from different countries. And you write what you know about, right? 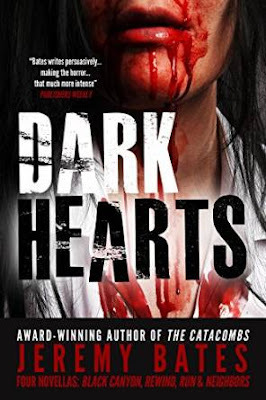 I should also mention that living in Japan got me into the horror genre, which is what I write now. My first novel was straight up suspense. My second was more an action thriller. I only started writing horror because I knew about Aokigahara in Japan and thought it would make a great setting for a story. And, given the subject matter, it sort of had to be horror. Anyway, it kicked off the World’s Scariest Places series. Many of your stories feature elements and tropes from different genres. For example, thriller, horror and travel adventure styles and themes populate most of your work – would you call yourself a slip-stream author? What genre do you most identify your work with? I would call myself a horror writer, but I focus more on the story than on the genre. Simply put, if I get a good idea for a story, I’ll probably try to write it, regardless of genre. For example, I’ve written several novellas which I would broadly classify as horror, but they could just as easily be dark suspense, or psychological suspense. One even borders on sci-fi. This is an easy question. I get my inspiration from scary real life places. If you do a google search on “scary places” you get pages and pages of results. As far as branding goes, I guess I’ve just branded my books as horror set in real locations. Your stories are many things – adventurous, violent, terrifying – if you could pinpoint one thing in particular that has grabbed readers of your work, what would you say it is? The settings. People seem to like that they are set in real locations that they could visit, if they so pleased. 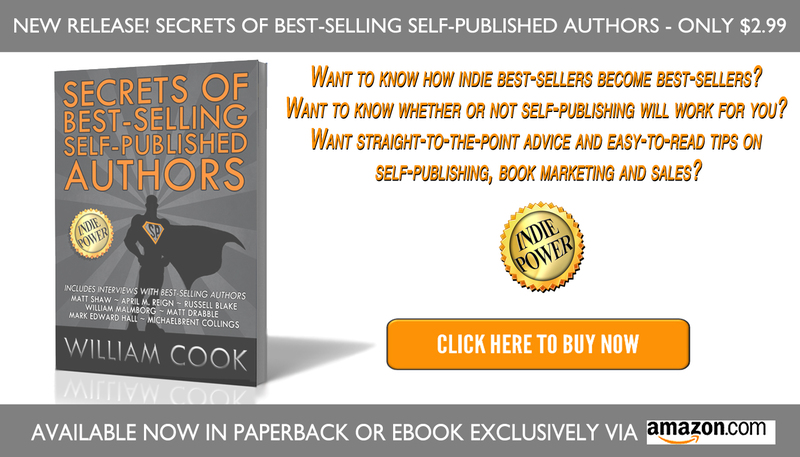 You have enjoyed best-selling status on Amazon – is there a particular moment in your career as an author that you realized that you had done something right to get where you are now? Can you pinpoint what it was that spiked your success to date? 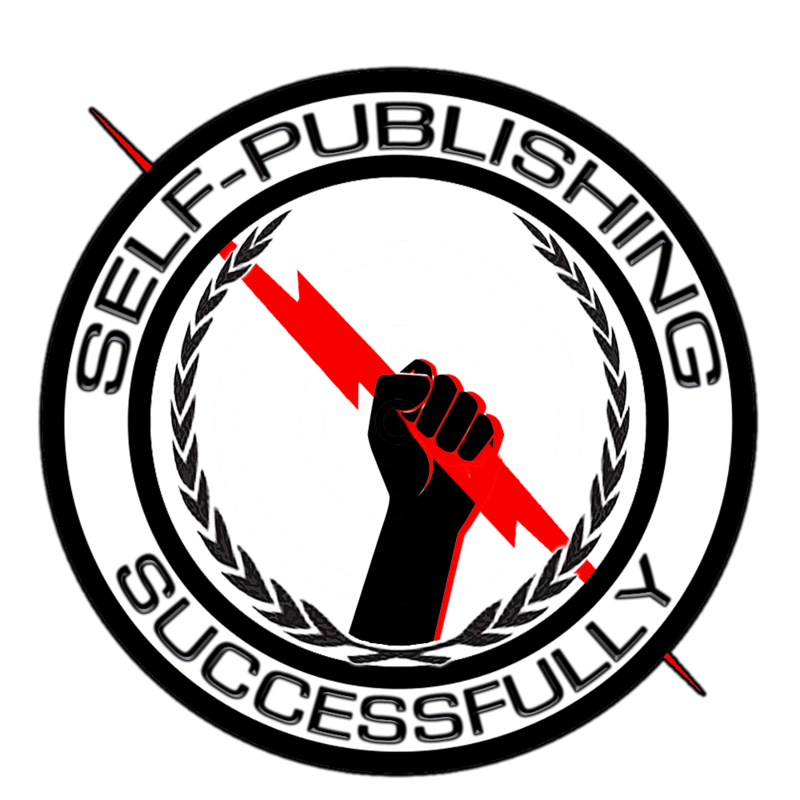 Deciding to self-publish. It’s been great to have complete control over everything. Also, I’m no longer writing for my publisher, or agent, or what I think they think will sell. I’m writing what I want to. Your first novel was traditionally published. Did you try to get publishing contracts for your other books early on with traditional book publishers? If so, did you have any success there or if not what was it that made you decide to self-publish the majority of your work? My first two books were traditionally published. White Lies hit #1 overall in the Paid Kindle Store. But this didn’t translate into a huge windfall of cash for me because traditional publishers take a massive chunk—especially if you’re a first-time author and have a crappy contract. 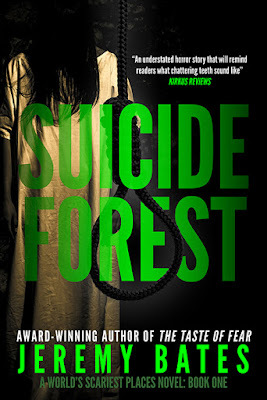 Having said this, I still tried to get Suicide Forest traditionally published. I had a great agent work on it, and he sent it out to the Big Five and others. That was back in late 2013. But I finally got fed up with was all the waiting. It’s a long process if your book doesn’t get picked up right away. So by the time we decided Suicide Forest wasn’t going to sell, it was late 2014, and I already had the next book, The Catacombs, finished. 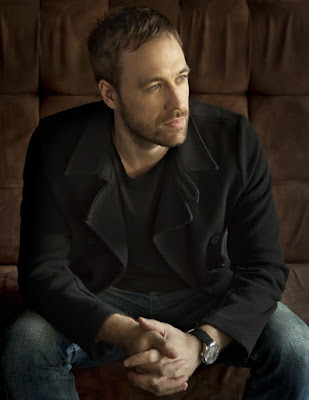 My agent for that one—a different one at Curtis Brown—sent it out to do the rounds. He mentioned if The Catacombs sold, the publisher would probably want to pick up Suicide Forest too. But by then I’d already begun to think about self-publishing Suicide Forest. The way I saw it, even if The Catacombs sold right away, it wouldn’t be published for over a year, so I was looking at a 2016 release date. And if Suicide Forest sold as well, it wouldn’t come out until 2017. That was sort of nuts. I’m a pretty fast writer, and I realized I was going to have this big backlog of titles if I didn’t start self-publishing. So I self-published Suicide Forest. And it did well, sold well, got good reviews. This was when I gave up on traditional publishers. I realized I didn’t need them. I got the rights back to The Catacombs, and released that. 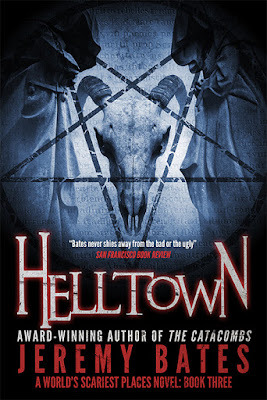 I finished up a third book, Helltown, and put that out too. I also wrote four novellas. So instead of having maybe two new books out by sometime in 2017, I now have 3 novels and 4 novellas out in mid-2015. Come 2017 I’ll have a couple more novels out on top of this, plus more novellas etc. I don’t really have any financial/artistic considerations. I do the covers and interiors myself. I have an editor I pay, of course, but it’s not too much. One, I put links to my Amazon page in the back of all my Kindle books, making it easy for readers who have just finished one book to get the next. And two, I have one book permanently free. 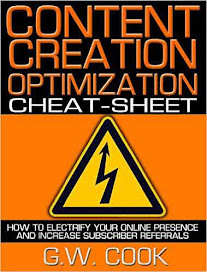 This is a big plus because it gets 1000 or so downloads a day, which is a great way to build a readership and far worth the money the book might be making if it weren’t free. Also, I offer a free novella on my website to people who subscribe to my newsletter. I’ve gotten about 5000 subscribers this way since January who I send emails to regarding new releases and so forth. Depends on what you write, I guess. I never used to want to write a series. Something about using the same character over and over. 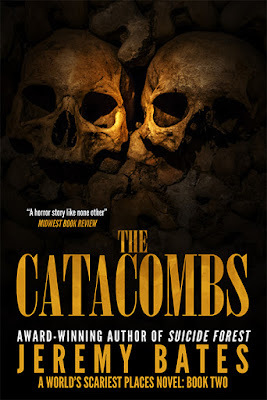 I remember when I was pitching The Catacombs, an agent who passed on it nevertheless liked the idea of the World’s Scariest Places series, and she told me to approach her again with my next book, and to create a really unique character to anchor the series. I didn’t agree with this. If you write about serial killers, for example, you can have the same detective come back for each successive book. But this wouldn’t work for horror—at least not the horror I write. Because my main protagonist is usually so f*** up by the end of the story, because of what he has been through, there is no way he would ever go back to another scary place. It just wouldn’t be plausible. So in general, it’s more difficult to create a series in horror than other genres. Look at Stephen King, or Dean Koontz. King has the Gunslinger series, Koontz the Odd Thomas one. But the majority of their books are standalones. Having said all this, I did end up doing a series, but I think I got lucky, because the series is not based on a reocurring protagonist but rather unique, real-life settings. As I mentioned above, yes, I do design them. I think covers play a pretty big part of selling books. I know I’m usually sold on a book by its cover. It’s just the way it is. Traditional publishing is definitely on a downward trajectory. But on the way out? I don’t think so. People still like to have a physical book. People still like to browse bookstores in airports. People still like to spend time at the library. However, traditional publishers definitely don’t wield the clout they used to. And I think they have a tough road ahead, and there’s still going to be a lot of mergers/shakeups/bankruptcies. In the end I think you’re only going to see traditional publishers backing big name authors. I don’t know if I would want to sign any books away, unless, financially, it was really going to be worth my time. And if I did, I’d continue to self-publish. Stephen Leather is a good example of a traditionally published author who self-publishes. It’s allowed him to write about Thailand bar girls and quirky horror stories and stuff that his traditional publisher wouldn’t publish. Best bang for my buck is definitely Bookbub. They’re a site that, for a fee, shoots out an email blast to their massive list of subscribers when you’re running a promotion. Depending on your genre, they can be pricey. If you’re advertising a mystery novel at 0.99 cents you may be charged close to a grand. But their reach is so big you’re all but guaranteed to make that back. On the other hand, if you promote a horror title for free, it’s only one hundred fifty dollars or something like that—but still worth the money even though you’re not going to make any cash back because of the exposure you get. They sent out an email blast for Suicide Forest which resulted in 20,000+ downloads in one day. The thing is, however, they are very selective, so even if you want to pay up, they might not take your money. Being able to write what I want. Depends. If you know how to use Photoshop, I’d recommend doing your covers yourself. I actually have a lot of fun doing them. If you don’t know Photoshop, definitely pay a cover designer. Also pay an editor. This goes without saying. My advice though: cycle through different editors until you find one you get along with and trust. 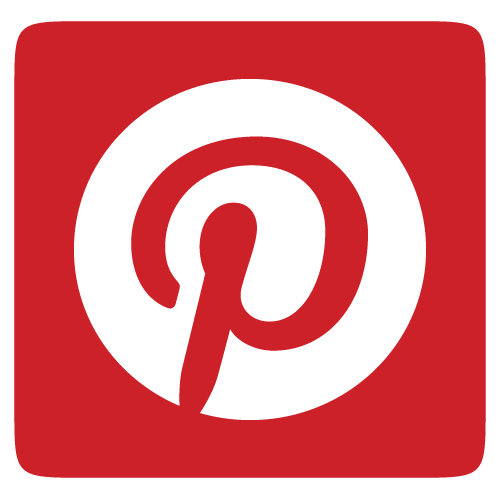 How important do you think social media is to achieving success as a self-published author? I actually don’t use much social media. I used to. But I found it time consuming and lacking. That was a couple years ago, maybe things have changed, I don’t know. I like Goodreads, and I connect with a lot of new readers there, but not so much on Facebook and Twitter. 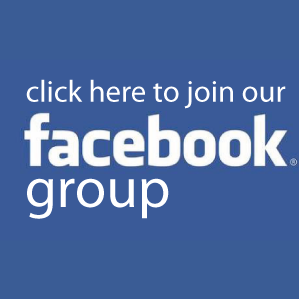 Do you feel there’s a good sense of community within the self-publishing industry? Are you in regular contact with other self-published authors and how important was any input you may have received early on in your career? 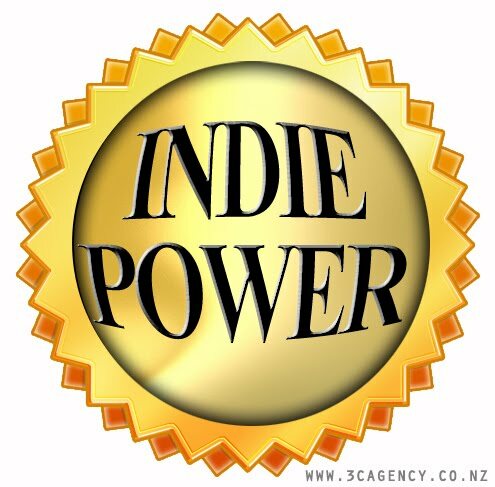 I think there’s a good indie community out there. I’m speaking to you now, after all! But I’m not in regular contact with other self-published authors. I’m aware of those who are writing in my genre, and I keep an eye on what they’re doing, and at some point it might be neat to do something collaborative, whether it’s a book of short stories or whatever. But right now I’m more focused on establishing my name, brand etc. No agents, but I might be working with foreign publishers in the future. I’ve had an agency in Japan and a publisher in France approach me regarding the foreign rights to my books. And this is something I would definitely pursue. It’s the best of both worlds. I can still self-publish my novels in English, but I can have them translated and traditionally published in foreign languages (something I would not be able to do myself). I don’t know. Because I don’t know what I would do all over again. In a sense, I’m sort of happy I spent so many years chasing a traditional publisher because it made my writing better. 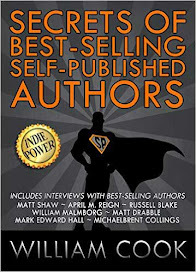 If self-publishing was what it was today when I started writing, I probably would have been tempted to self-publish—and that would have been a huge mistake, because my stuff had no right seeing the light of day. It would have gotten scathing reviews. This might have turned me off writing altogether. So my advice to those thinking about self-publishing: make sure your stuff is worth reading. I know that comes off as harsh, but just because you can self-publish doesn’t mean you should. 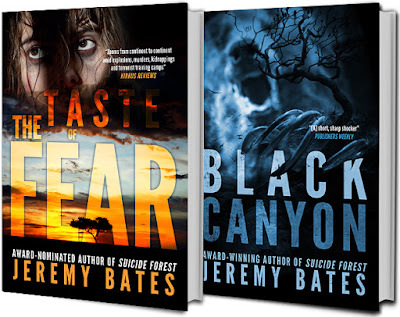 Make sure you visit Jeremy's excellent website to receive a free copy of the novel The Taste of Fear and the novella Black Canyon, just enter your email address to join his Readers' Group. The books will be delivered directly to your inbox. Subscribe here (or click the image above).